How Does On-demand Taxi Booking Work? On-demand taxi software turns the transportation industry into desperate way in the past few years. If you are wondering to keep things under control, your company needs an application like Uber to book & manage fleets in an effective manner. Traditional taxi services are unbearable and competition is intense that makes you deploy this system for your taxi business. 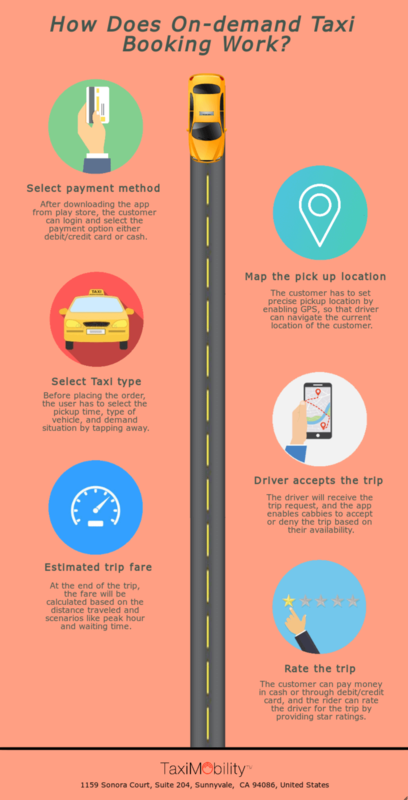 Here is an infographic that says all about, how does the app-based taxi booking work. ← How Do Yellow Cabs Compete with Uber in NYC?